She's found a new home! 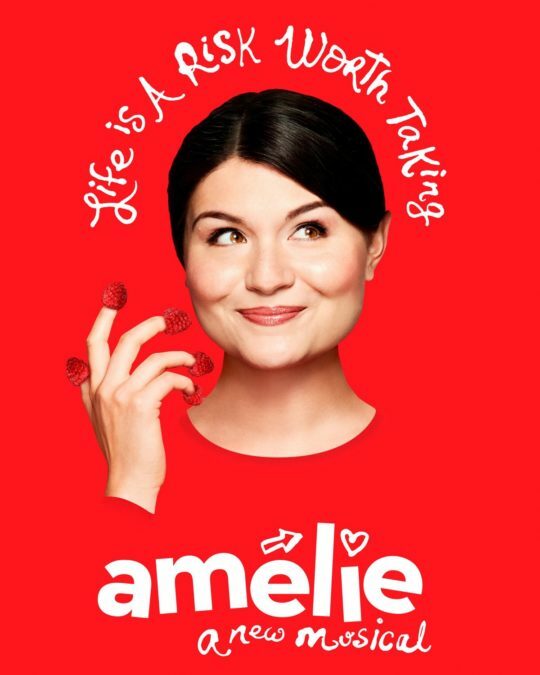 The musical adaptation of Amélie, starring Hamilton Tony nominee Phillipa Soo, will begin performances at the Walter Kerr Theatre on March 9, 2017. Opening night is set for April 3. Before the New York run, the musical is scheduled to play a limited pre-Broadway engagement December 4 through January 16, 2017 at Los Angeles's Ahmanson Theatre. Joining Soo in both L.A. and New York will be Adam Chanler-Berat as Nino; additional cast for the Broadway run will be announced at a later date. Soo received a Tony nomination earlier this year for her performance as Eliza in Hamilton. She also appeared off-Broadway in Natasha, Pierre and the Great Comet of 1812 (in the title role, now played on Broadway by Denée Benton) and on screen in Smash. Chanler-Berat has appeared on Broadway previously in Peter and the Starcatcher and Next to Normal. His additional credits include The Fortress of Solitude and Fly by Night. The Walter Kerr's current tenant Falsettos will end its limited engagement on January 8, 2017.